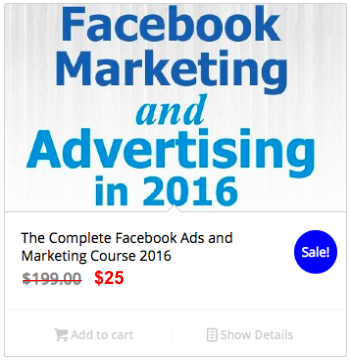 Have you Had Success with FaceBook Ads? FaceBook ads are a very cost effective way to generate traffic to your offers and get a good ROI. The problem is that it takes some time to learn how to set your ads, budget and bids to maximize the higher profit as possible. In the video above, Charles Kirkland, an Internet Marketer expert in paid traffic generation, gives two simple tips you can apply to your FaceBook campaigns immediately. In FaceBook when you are placing a bid with a daily budget, the traffic will be divided throughout the days. If for example you give to a campaign a $24 daily budget, your ads will show for a $1budget every hour for the complete day. If you bid $0.50 per click, this means you will have 2 clicks per hour, all day long. There is no chance you can test your campaign that way because there is not enough clicks and it will be difficult to scale up the campaign to be profitable. Charles explains that the way to go is to considerably increase the budget, turn the campaign on and then off. Then, study the results and discover which period of the day you get most sales. If you get most sales between 6 a.m. and 9 a.m., 12 p.m. and 1 p.m., and 6 p.m. and 9 p.m., it doesn’t make sense to run the FaceBook ads between 11 p.m. and 9 a.m., don’t you think? You may get clicks, but you don’t get sales. What you must do is run the ads through tracking software for a week at all time to discover what day and period of the day you get most conversion, opt-ins and sales. Then you day-part and jack-up the budget to $300 per day knowing that you will turn on your ads at the most profitable times. The second way is to split the budget between your campaigns proportionally to the size of your audience. If you give each of them a budget of $10 per day regardless of the audience size, this is what happens. Hypothetically if you reach only 10,000 people with $10 per day for campaign 1, you can have it run a very long time to get through the whole audience. Campaign 2 will have a reach of 10%, just like campaign 1, which is 5,000 people, but the audience will see your ads twice as much for the same duration. Campaign 3 will have a 1,000 people reach and they will see your ads 10 times for the same duration. The ad will be burned out and become totally ineffective. You need to learn how to adjust your daily budget according to your audience size. Campaign 1, with the biggest audience may get a $40 budget per day, campaign 2 a $25 daily budget and campaign 3 a $5 daily budget. Does that make sense? You have to test and see which frequency you want your prospects to see your ads, it may be 1, 2, 3, 5 or 10 times per day. Remember that the higher the frequency, the faster your ads burn out. 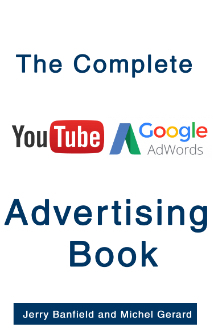 This will also determine the duration of your campaign before you have to change your ads. I hope this video will be useful to you.